We’re ready for an incredible night under the stars! 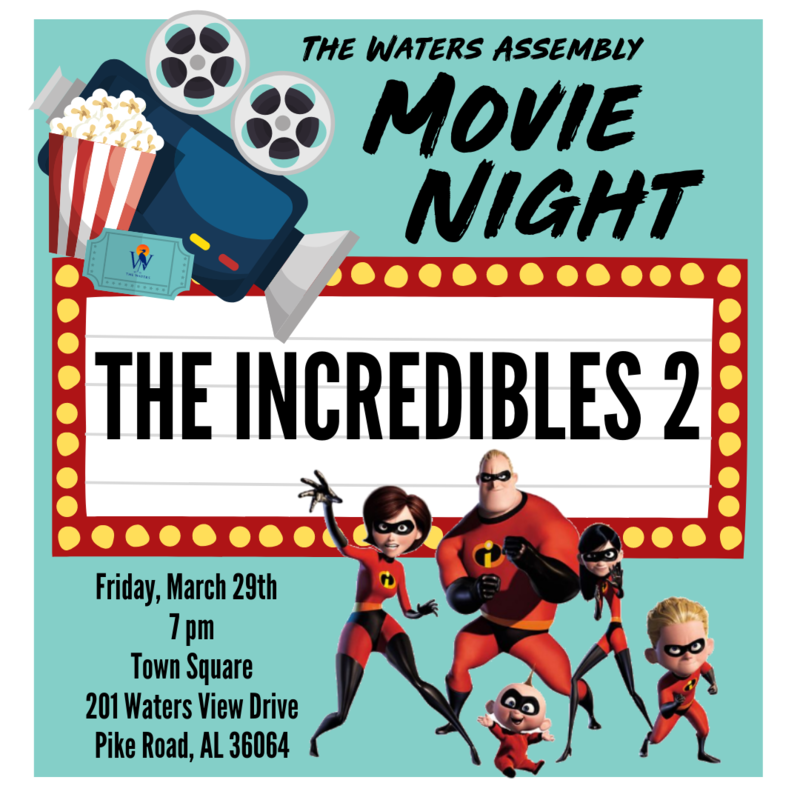 Join us for Movie Night Friday, March 29th at Town Square, starting at 7PM. Grab your lawn chairs, we’ll bring the popcorn. Everyone’s favorite family of superheroes is back in “Incredibles 2” – but this time Helen is in the spotlight, leaving Bob at home with Violet and Dash to navigate the day-to-day heroics of “normal” life. It’s a tough transition for everyone, made tougher by the fact that the family is still unaware of baby Jack-Jack’s emerging superpowers. When a new villain hatches a brilliant and dangerous plot, the family and Frozone must find a way to work together again—which is easier said than done, even when they’re all Incredible.